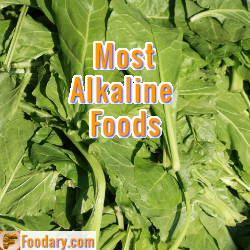 Lists of Alkaline Foods and Drinks archive is full of food facts. Here are lists and charts that cover thousands of foods. Use these foods to assess your current diet and to find foods that make an alkaline diet healthier. Potassium is one of three alkaline components of the PRAL calculation for pH Balance Diet Score. Most Americans consume far too much sodium and far too little potassium, an eating pattern that puts them at higher risk of heart disease and death. Making a few changes in food choices can help shift the balance. Potassium levels are naturally high in vegetables and fruits, and sodium levels are naturally low. Large amounts of sodium are often added to foods during processing. So choosing produce that is fresh or frozen, or choosing foods that have not had salt added in processing, can help curb dietary sodium and boost potassium. Potassium deficiency can lead to muscle weakness, abnormal heartbeat (arrhythmia), and slightly elevated blood pressure. On the other hand, too much potassium can also be bad for the heart, and kidney patients might need lower than normal intake. So what is normal potassium intake? Protein is the main acidic component of the PRAL calculation for pH Balance Diet Score. We need protein to build body tissues, and also for enzymes that allow our bodies to function. Here is a list of the most protein rich foods from the USDA list of key foods. Like all the current Foodary food charts, the high protein list simply tells you the numbers. The list will tell you how much protein you are eating. It will help you choose more protein or less protein according to your personal dietary needs. However, your protein choices, like most dietary choices should be governed more by quality than by quantity. At the moment, my nutrition data is taken from the USDA database. This allows me to list quantities, but quality scores need more work. I am committed to improving the data. There is an established scoring system for protein quality, and I will explain more about this soon. Please subscribe to Foodary Food Facts Update Service if you want to be informed when that is available. In the meantime, a little common sense goes a long way. That, and a few simple pointers on protein quality. My alkaline snacks list is an update to my earlier Acid-Alkaline Snacks Food Chart. It has a tighter focus on popular foods from the USDA Key Foods list. It also has extra nutrition information in a sortable table. The USDA nutrition database also includes meals, fast foods, and, as I am explaining here, snacks. Ultimately, the Foodary database will also include recipes and complete meals or snacks. For now, I am going to focus on basic foods that become ingredients for recipes. 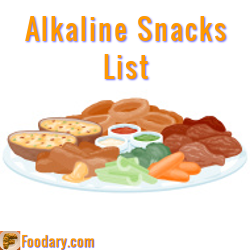 However, many people have asked for an updated alkaline snacks list, so I have included one below. There are only a few snacks included in the USDA key foods list, so I have included other groups such as Baked Products, Meals, and Fast Foods. Calcium is one of the 5 elements of the PRAL calculation for pH Balance Diet Scores. There is some interesting science behind that, but I like to provide easy to use tables so you can focus on food, not formulas. I only mention the science so you understand that PRAL is a proven method for estimating alkaline diets. Others rely on science fantasy, Foodary uses science fact. Is my total diet is alkaline? Do I eat sufficient acidic foods? Which food changes will improve my alkaline diet? My alkaline pasta list covers all the USDA Cereal Grains and Pasta food group. As such, it can be a source of healthy whole grains, which are important to nutrition, though rarely very alkaline. The key to understanding pasta in an alkaline diet is to understand the big picture. An alkaline diet is always alkaline in total, but it must contain around 20-25% acid forming foods. The secret is to incorporate acid foods wisely, and look to maximize healthy minerals, vitamins, and fiber. There is another important point about whole grains in general, and pasta in particular. Pasta forms a good carbohydrate base for your meal. Most pasta carbohydrate is the preferred complex form. I will explain the importance of complex carbohydrates in a future article. For now, let’s think about the rest of our pasta meal. Most current healthy nutrition guides emphasize switching from unhealthy refined cereals to unrefined whole grains. So a switch to whole wheat pasta is good, but there’s more. Whilst you’re improving the healthiness of your pasta, an alkaline diet can help even more, if you look at the sauce. Vegetable sauces for pasta are nice, but if you want meat or seafood, a pasta meal can still be alkaline. Be sure to make the sauce with three times as much calories from plants as calories from animals. There are lots of ingredients near the top of the most alkaline foods list that make excellent sauces for pasta. 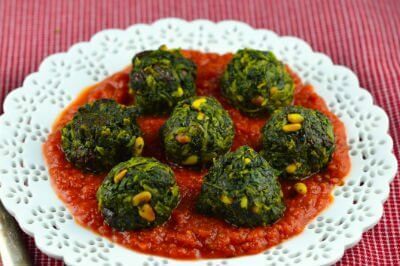 If you are not sure if your favorite pasta meal is alkaline forming, please share the recipe with me in Foodary Healthy Eating Forum. I’ll analyze it for you, and I might even add some tips for making it a better part of your alkaline diet.